In Ghana, MCSP collaborates with the Ministry of Health (MOH) and the Ghana Health Service (GHS) to provide high-quality pre-service education (PSE) and community-based health care delivery (CHPS). 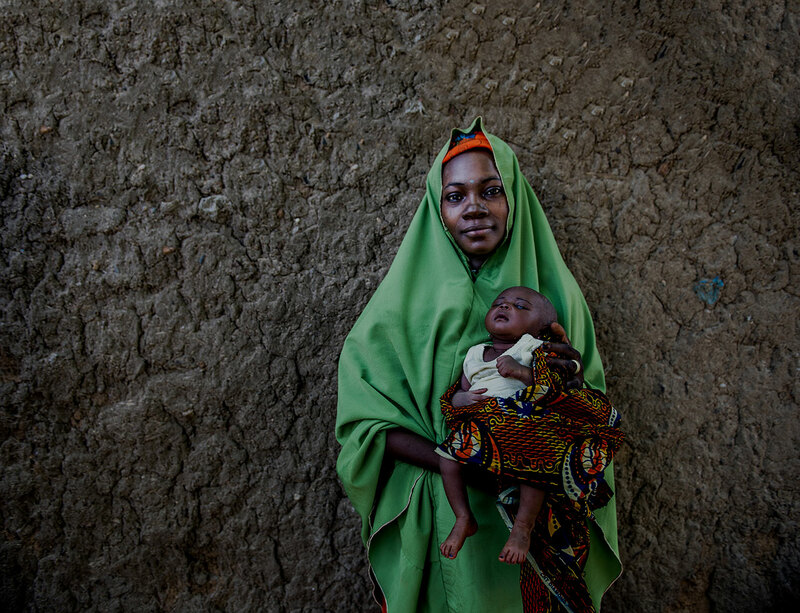 Over the years, interest has increased in building the capacity of CHPS workers to deliver packages of lifesaving maternal, newborn, and reproductive health interventions to strengthen Ghana’s health care system. In response, the GHS requires all CHPS workers to take a 2-week, 12-module training on management of the CHPS zone and some clinical services at the CHPS level in addition to the standard curriculum. MCSP conducted a task analysis study to: 1) examine the quality and relevance of PSE and in-service education of CHPS workers, and 2) better understand which services they actually provide daily to clients for which they may or may not have received PSE. 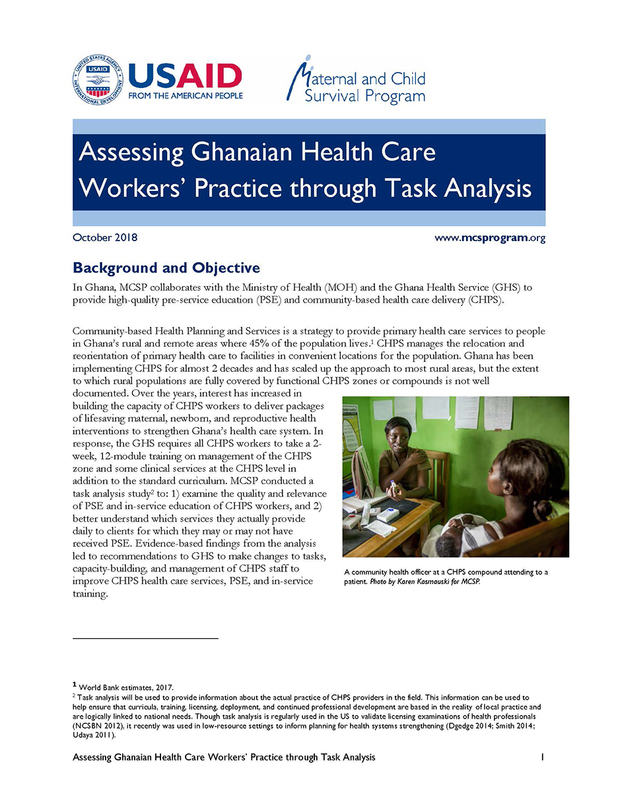 Evidence-based findings from the analysis led to recommendations to GHS to make changes to tasks, capacity-building, and management of CHPS staff to improve CHPS health care services, PSE, and in-service training.